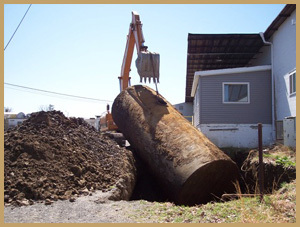 As an environmental services firm that provides tank closure services, we provide our clients with the necessary tank closure documentation for proper physical and regulatory closure documentation of tank removal work. By handling all necessary regulatory and requested paperwork submittals, we are able to ensure our clients that the work was performed to satisfy all reporting requirements. 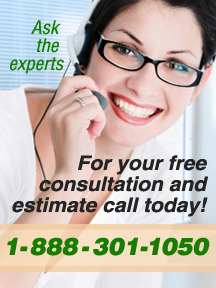 This documentation is typically essential and may become vitally important in future real estate transactions. 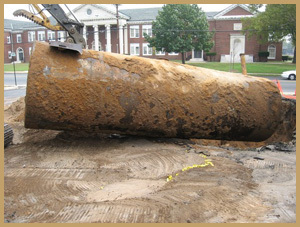 Our hands-on experience with tank projects have included both small and large scale projects. Each project we undertake is thoroughly followed through to fruition in compliance with applicable regulation, standards and following standard industry protocols programs. We offer services specially designed to meet your needs cost-efficiently, working with large and small companies, laboratories, schools, government agencies and private facilities.